I saw a tweet last week that read like a subtweet directed at every student with whom I've worked in my career as an academic librarian: "Or you could just buy your textbooks." (May not be an exact quote.) I'm not going to post it here, nor name the person, because that person is not my issues. No, my problem is with the major and minor misunderstandings that went into that tweet. Besides, I don't want to call out that individual because, if I'm going to be honest, these are misunderstandings that I held for years myself. Misunderstanding #1: I've mentioned this before on my blog, but our students - even at the elite colleges and universities - are not us at that age. They are at college mostly because it's the next logical step and they've been told it will help them get a better job and so on. Even the most academically-oriented will usually only buy books for classes in their major, when they know they'll want to keep them beyond the class. Misunderstanding #2: Two of my three library jobs have been at colleges with a high proportion of first generation college students. In both cases, more than 40% of the undergraduate population were/are first gen. They don't come to college knowing the culture, the expectations, the norms. They were given access to their textbooks in classes in k-12, and some even got to take them home, and so they won't expect this cost. Misunderstanding #3: Speaking of costs, have you seen how expensive textbooks are these days? The prices have risen way way way beyond normal inflation. I've seen 150 page, flimsy paperback textbooks going for $100+. You know how so many libraries can't afford to keep up? Imagine that at an individual level. Misunderstanding #4: Some of our students genuinely can't afford these books. They and their families are taking out loans and maxing out credit cards just to get the students to college. Misunderstanding #5: This is a misunderstanding on the part of our patrons: No, most college libraries - heck, most libraries in general - aren't in the business of buying and stocking textbook-y textbooks, but a lot of people think "libraries = books," and think we will have them. All of this is to say that some students can't just buy their textbooks. So please, if a student comes to you and asks for a textbook, feel free to inform them that your library doesn't carry them, but keep the above misunderstandings in mind. Please try to help them find a copy through your consortium if your library belongs to one, and definitely have sympathy for students who can't afford/didn't know they need to buy textbooks. It's hard enough for students to come ask us for help in the first place; you showing them scorn (and it shows, even if you think it doesn't) will only make things worse. One final note: I've talked to a few other librarians who do stock some textbooks in their libraries, both college/university level libraries as well as private high schools. I've been talking with some of my allies at my college, and I've decided to try an experiment next academic/fiscal year: I'm going to buy and keep in the library a few copies of the textbooks for each class with a high proportion of at risk students. If that works well, we'll expand. I'd love to hear from anyone who's got experience with this kind of program. We (which is to say librarians, working with faculty) push open access options whenever and wherever possible, though usually that's the hard sciences as opposed to social sciences and humanities. Coursepacks in those latter fields may make more sense than textbooks. When students come into the library wondering if we have a certain textbook, we make a note of it and take that data to faculty members. We let them know that they can ask for desk copies, which we'll put on reserve. I work in a public library and we get requests for textbooks all the time. Unfortunately the community college bookstore never seems to order enough textbooks. Thankfully we have a great consortium that is able to find 80% of the textbooks our patrons are looking for. My college works with a huge population of first generation college students, and I really appreciate how much our professors are willing to work with them...until I have to go exploring how much they really know about copyright compliance when assembling required materials. Our academic support team is also checking into buying the fairly stable required texts for our most common courses to be available either in the library or academic resource center on reserve. I work at a public library, and sometimes we will have a copy of a textbook in our system. I'm especially thinking of a biology textbook at my library that's one that the local high school uses. I had a student of an Esl class come in last week, and we didn't have the workbook she needed. I don't think I explained it well enough, as she asked the same question of a colleague later on. Oy! A related topic is test-prep books. People don't want to buy these, and I don't blame them, as they're expensive, and even more useless than textbooks after you've taken the test. 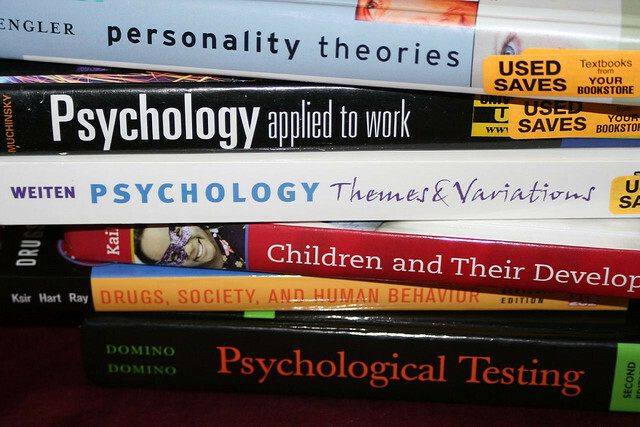 Unfortunately, a lot of the more popular test-prep books get stolen, so we'll only have a few copies of some. This especially happens with the Compass test, the local community college entance exam. There's not enough new books released to cover the gaps for that one, as well. Yes. My current library is also heavy on the first gen students. I gently let students know we can look it up and *try* to get it from another library, but many places are reluctant to lend textbooks (if they have them at all). Our bookstore has a rental program (as do some online textbook sellers), but even that can be prohibitive, especially in the sciences. I also let the student know that we do have a reserve program, and they they should ask their professor if they would place a copy on reserve for students who can't get ahold of the text, since many profs get extra copies from the publisher. (Letting the student know that I'm happy to email their professor and ask about the reserve option for them allows the more shy students an out.) I also let them know that in Blackboard, most of our courses have a 'communication' tab that allows them to email their fellow students (and to exclude the professor, if they choose) in case folks might be willing to text-share. When I was an undergrad, I had a professor suggest making a friend (or two or three) in the class and buying one book between us and sharing it. In my experience that worked really well most of the time. I'm at a community college library with a very high proportion of first-generation students--it's the norm rather than the exception here. I will always try to help a student find a textbook, but even in a consortium that includes three other community colleges, it's hard to find things. If I can get a book, it's an older edition, and even with those, some of the other colleges won't lend them out beyond their own students. And to make matters worse, a lot of courses--particularly in the health sciences and other pre-professional fields--use custom editions that are replaced almost every semester, cost a lot upfront, and have little to no resale value. It seems that these have replaced coursepacks in some fields and probably to the financial detriment of students. We have seen a rise in reserve traffic recently, and I make a point of mentioning reserves to students, especially if I'm getting a lot of requests for the same book at the beginning of the semester. I'll mention that they might want to ask the professor to give us a copy of the book to put on reserve. Some professors have extra copies and some don't, but I figure that putting the bug in people's ears is one very small way of raising awareness of course reserves. But anyway, I usually end up telling students something like, "We're kind of in the same boat you are, where these books are very expensive and get outdated so quickly that we can't afford to buy them either. I'm really sorry." I have a lot of sympathy for the students, but I feel that between high textbook prices and a reluctance or inability to pay on the part of the students, libraries are put in a very difficult position. I don't want us to turn into textbook warehouses because I think that just encourages the proliferation of existing bad practices in publishing, but I do want students to have access to the books they need. It's a very hard line to walk.